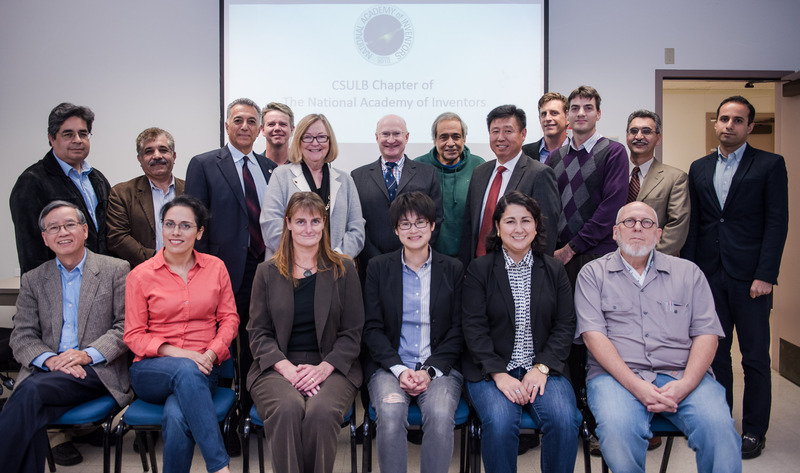 The chapter has been championed by Simon Kim, CSULB associate vice president of research and sponsored programs, and College of Engineering Dean Forouzan Golshani, holder of nearly a dozen patents. “I’m proud to see we’re the first CSU to join the NAI,” said Kim, adding that “some of those smaller institutes” such as Caltech and UC Berkeley are also members. President Jane Close Conoley joked that she’d heard of some of those “small schools,” but didn’t realize Long Beach was the first in the California State University system to start an NAI chapter. Golshani was named the chapter’s president and math professor John Brevik the vice president. To qualify for induction into the chapter, members must hold or have applied for a patent. Biochemistry professor Roger Acey holds 15 patents for water purification methods and classic compounds for treating Alzheimer’s disease, and welcomes more university support for inventors. Acey began patenting his innovations after an attorney on his department’s advisory council offered his services. “It’s expensive, but it’s worth it,” he said of the process. A CSULB professor since 1983, Acey has established a spinoff company called MGP Biotechnologies, which has a royalty agreement with the university and a working prototype. Inventors generally pursue the lengthy and expensive process of applying for patents only if the invention has commercialization potential. If the moneymaking potential is dubious, researchers are more likely to just publish a paper or present at a conference. Money and time spent to pursue a patent must be carefully weighed, said Henry Yeh, chair of the electrical engineering department, who holds four patents. Yeh’s first patent came after he filed a report and his managers at the NASA Jet Propulsion Lab recommended the research be patented. His second and third patents were paid for by the Aerospace Corp. and Caltech, and the fourth was self-financed. Besides being a CSULB industrial design professor, Steve Boyer has also been an entrepreneur, hardware and software engineer, and designer. He holds patents for the first LED volumetric display musical instrument, a method for geometrically input piano keyboard, and a method for synchronizing an unlimited number of electronic instruments. One of two faculty from the College of the Arts to be inducted into the chapter, Boyer said he’s long been interested in networking with engineers. Boyer said “it took a lot of work” to obtain his patents, but he learned a lot from the process. 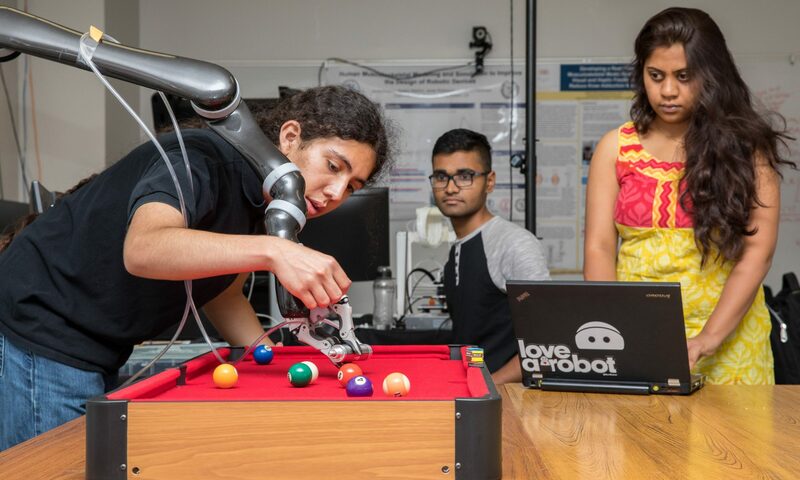 Perla Ayala, who joined CSULB in Fall 2016 as the first full-time faculty in the newly created Biomedical Engineering Department, obtained a patent as part of her doctoral work at Beth Israel Deaconess Medical Center. Vahid Balali, who joined CSULB in Fall 2016 as a civil engineering assistant professor, holds a provisional patent on a way to measure traffic signs’ reflectivity during the daytime. He hopes to commercialize the invention. Parviz Yavari, professor, mechanical engineering.